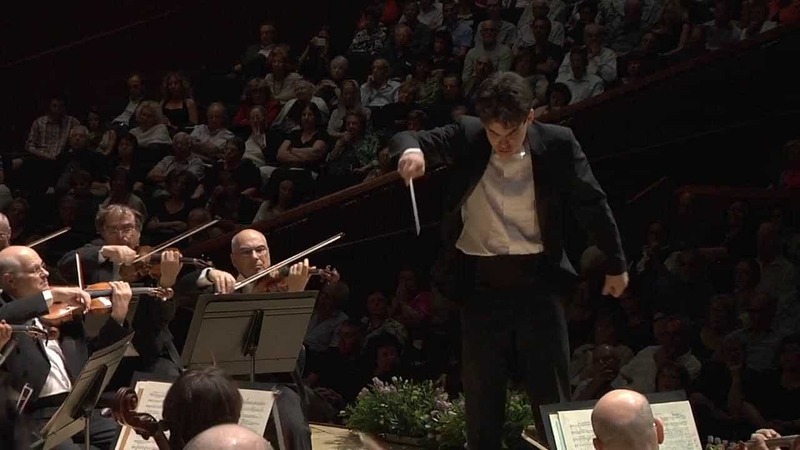 Slipped Disc | What next for the Israel Philharmonic? What next for the Israel Philharmonic? The orchestra has taken the first step out of decline by appointing a brilliant young music director with top credentials and international connections. Now they need to find a manager of the same generation who will reinvent the orchestra’s role both at home and abroad. Outside the Jewish diaspora, where the IPO performs promotional tours, the orchestra has no international brand. It needs to make waves in East Asia and to project a totally different image in Europe. There are dozens of young Israelis working in music in Berlin, Paris and London. One of them needs to be picked. Second, the orchestra must diversify. There have been a couple of foreign players in the orchestra but no Israeli Arab has been admitted either to the playing staff or (so far as I am aware) to the administration. That much change. Third, the programming has to be completely reconfigured. For years, the IPO has played to the granny audience – the loyal subscribers who go to concerts just as they once did in Germany and Russia. The IPO has signally failed to embed its purpose in second and third-generation Israelis. That will be the biggest challenge for Lahav Shani. I think he’s up to it. Players get chosen to the orchestra by sever audition process, not by their religion or nationality. There is an atmosphere that inhibits Israeli Arabs from applying. If there were more diversity in the manganon, that would change things. I am not sure upon what you are basing your atmosphere assasment. As a member of the orchestra, who sits in the audition juries and goes through the applications, this is not accurate. Players are chosen only by their playing, in a screened auditions. Applications arrive from all over the world and Israeli Arabs are always more than welcome to apply and audition. It had been our dream in the IPO to hire an Arab Israeli. Zubin wishes it repeatedly. Unfortunately, no adequate candidate apeared yet. So far, Arab Israeli musicians excelled (such as Salim Aboud Ashkar and Bishara Harooni) only in piano performance. Have any arab veterans of the West-Eastern Divan orchestra ever applied for a position with the Israel Philharmonic? Do you know about any other Israeli orchestras? I would love to know from where you get your information and your ideas. A “brand”? Really? Travel to East Asia… this is the most travelled orchestra anywhere. Hire new management? From my experience, too many large and sudden changes can cause catastrophies. One thing at a time,sir. And please don’t suggest to turn our “National Treasure” into an “Affirmative Action” experiment. We always do our best to hire the best and most qualified candidate. Let them apply for advertised job opportunities first! What you are implying is outrages! As a member of the orchestra, who sits in many juries, I do my best to seperate political aspirations from musical values. May its not a bad idea for this blog to do the same. I like the IPO, but why on earth would any of the 1.8 Palestinian/Israelis want to ne a member of this orchestra which clearly represents the state of Israel? The day when the nonsense of a 2 state solution is finally abandoned, and Israelis and Palestinians at long last create a joint country, where everyone one has an equal vote, then we can start talking about the luxury of the ethnic mix of the IPO. Until then the IPO will almost certainly be greeted with hostility. When did it last perform in the UK? Lahav is a great choice. I assume you mean million, rather than just 1.8! In fact the majority of Arab Israelis (some identify as Palestinian but many do not) are fully integrated into Israeli society. There are Arab Israelis in the IDF, on the Israeli Supreme Court, in the Parliament, on TV, winning reality television shows and so on. Especially given that music builds bridges, I have no doubt that many Arab Israeli musicians would be delighted to join the IPO. Some interesting arguments were made here, unfortunately not all accurate. 2016- Athens, bogota, Lima, Santiago, Buenos Aires, San Paulo, Dresden, Mumbai. Not exactly classic Jewish diaspora cities and countries. The Orchestra has been reinvented to those places. Next tours include China and Japan, Usa, Australia and New Zealand. At home the repertoire is conservative. You are right. To the defence of the orchestra one needs to realize that 70% of it’s income is self income. The rest is mostly from funds and very little from the government. It means that it needs to play repertoire that will draw audience. Hopefully the next MD will manage to both diversify the repertoire and keep the audience. It would be great if he did. You do see young people in the audience. It was also mentioned by Ha’aretez critic Amir Mandel. I think that what contributes to that is aggressive promotion for audience under 35 (20$ a ticket). Regarding Arab Musicians in the orchestra, I think that this is a failure of the Israeli society, not necessarily of the orchestra. in order to become an orchestral musician, one needs to be nurtured from a relatively young age. The state needs to provide tools for that also to the Arab sector. Interesting comment at the end. I think it’s partly right. There are existing dedicated schemes to nurture Arab Israelis in music and the IPO itself has a sistema-style initiative. But the fact that these initiatives have so far failed to produce an orchestral player for the IPO shows that something is going wrong. It would be interesting to know whether there are Arab Israelis in the 9 or 10 other Israeli orchestras. The IPO el sistema style initiative you are referring to, started only a few years ago. I believe 5 or 6 years and is active in the Arab sector. The kids that started and enjoyed a full program are now in high school age. Your comment accentuated the fact that the IPO does much more than other in that field. Who are you to say what they need to do? Why do you think youth is a virtue? It means a lack of experience and knowledge. Everything you say is ridiculous. I’m thrilled about Lahav Shani and it’s wonderful to see the IPO receiving some well-deserved international attention for this choice. I disagree with a few of your points, especially about playing to the “granny” demographic. While the rep is often typical, I thought it was clever of the orchestra to create an entire series more attuned to younger audiences that starts later and has a more casual ambiance – they also have ticket promotions to get younger people in the door. I’ve once heard the orchestra with Mehta in Rotterdam with Mahler 5, it was the dullest musical experience in my life…i’ve left after the 2nd movement…. great to see Lavi has been appointed as musical director, ive heard him in Rotterdam and he is great, and very dynamic, but i guess it will take a few years before the Israel Phil will awake from their boring time with Mehta. Discussions. And political correctness destroys its true ethical value. IPO is one of the greatest orchestras in the world!! Don’t pull it into dirty soil. Keep your ignorance for yourself!